This #GivingTuesday your gift to Teen Success, Inc. is making a difference 4X over! All donations matched 1:1 up to the first $7,500! When you donate any amount, your donation will be matched thanks to the generosity of two of our supporters and your gift impacts two generations, young mothers and their children! That means your gift has 4X the impact! Thank you! Together we are empowering young mothers and transforming lives! 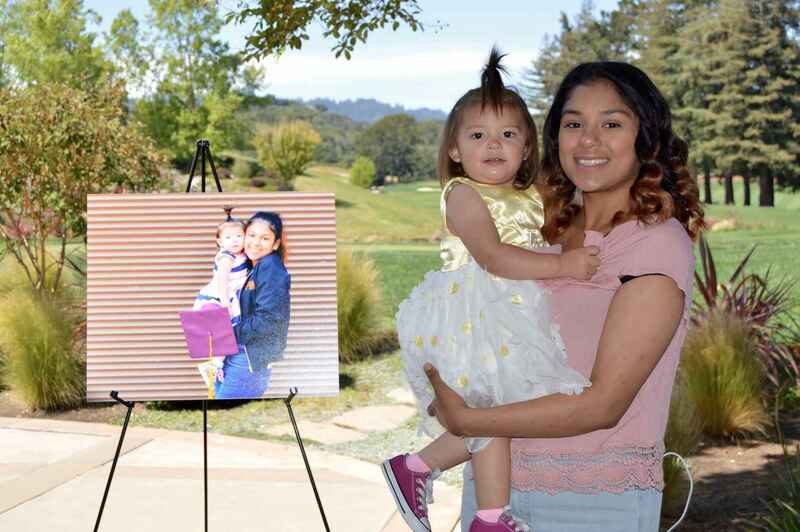 #GivingTuesday makes a difference for young families like Viviana and Maya from San Jose. After giving birth to her daughter Maya, Viviana had trouble getting back into school. She reached out to Teen Success, Inc. who helped her re-enroll at Opportunity Youth Academy. Viviana worked hard to graduate school, often attending classes with Maya sitting on her lap. She considers her greatest achievement (so far) graduating from high school. Viviana attends Evergreen Community College and studies Business Administration. Teen Success, Inc. empowers high school age young mothers to attain success in school and in life, so their children will also thrive. Nationally, only 38% of teen mothers graduate high school, in the Teen Success, Inc. program 93% of participants graduate high school or are on track to do so when they complete our program. Two-Generation Approach: Our members often face a cycle of poverty that has clung on generation after generation (64% of our participants are children of teen parents). Our approach breaks that cycle. Participants take part in 18 months of one-on-one coaching and peer learning group to focus on their educational path, develop life skills, deepen their knowledge of reproductive health, and grow their parenting skills. Jane mentioned this program, very inspiring what you guys guys are doing. My friend Jane spoke to me about the program!, loved it! We help 2 generations at a time. Education is key to their future success. Such a worthy cause...such dedicated young mothers and as well their mentor/advocates! Giving back! Knowledge is power! So happy to contribute to such an important organization. Teen Success...is our success! It’s important to me to have women achieve thier education in any aspect of their life, including raising thier child at the same time.